Immediately Call 911 and Report the Accident. If injured, 911 will send an ambulance and medical help. They will also send law enforcement help to the scene. If you can, fill out a accident report with the law enforcement officer at the scene. If your injured in any way "go to the hospital" and the police will come to the hospital to finish the accident report. Next, call your insurance company and setup a claim. Then call American Spine & Rehab toll free 1-800-411-CRASH so you can begin treatment of your injuries immediately. It's all in the call. Always remember that the insurance company may not have your best interest at heart. Insurance company's are here to make a profit and they are not your friend. Be very careful what you say to the agent or insurance company representative as it may be used against you in the future. Even if they call to check on you they are not your friend even though they are acting friendly. They are trying to get information that can help them settle your case for less. Our best advise years of working Personal Injury cases is "Get an Attorney to represent you and let the attorney talk to the insurance company." Get an Attorney. Don't try to go this alone, especially if you have been in a previous accident. There are serious medical legal issues involved in your case and you need someone to represent your legal interest. Never talk to the other parties' insurance company; they may want to offer you a quick settlement without giving you a chance to have your injuries treated. You can only receive compensation for your automobile crash injuries if you have your injuries treated and most importantly documented. Follow your doctors care plan and do not miss scheduled appointments. Your doctor is the only one that can determine if you have fully recovered from your injuries. Never let anyone else persuade you to stop treatment. 4. Air bags can't hurt you like that... Yes they can. Insurance companies and their defense lawyers try to reduce the amount of money an automobile crash victim may receive by using all of the above myths. After an auto accident the body often swells with edema as the body tries to stabilize injured areas. Also the injured body, at the cellular level has possibly thousands of micro (small) tears of the muscles, ligaments and tendons. This limits range of motion and causes pain. These are called strains and sprains. What's interesting is that strains and sprains often take longer to heal than a broken bone. Treatment helps restore the body to its original normal state. 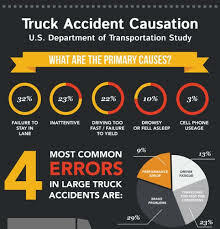 Accidents often cause misalignments. Just think of what hitting your head on the seat or door can do to neck and back alignment. Even at low speeds the neck alignment can be altered. We help restore range of motion and function. Results of course vary based on your injuries and other factors such as how long you wait to get care. Once your body is aligned we need to think flexibility, range of motion, strength and endurance. We need to heal us back to where we were before the accident. We need to be able to do those things that we did before. That means rehabilitation. That means Physical Therapy. Again results can vary based on your injuries and how long you wait to get care.